Tampa, Fla. — The 2015 edition of the USF-UCF rivalry game, played this year in Orlando, has been moved to a primetime slot on Thanksgiving night kicking off ESPN’s Rivalry Week, the American Athletic Conference announced on Thursday. The game, originally slated for Friday, Nov. 27, will now kickoff at 7:30 p.m. on Thursday, Nov. 26 in Bright House Networks Stadium in Orlando. The game will be televised to a national, primetime audience on ESPN. The flagship station of the “Worldwide Leader in Sports” is distributed to nearly 95 million households nationwide. USF leads the growing rivalry series 4-2. 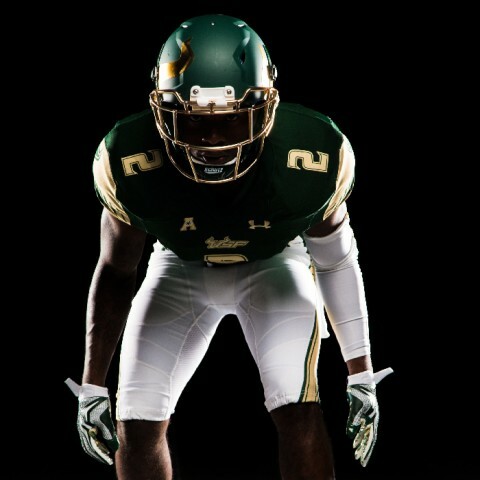 USF’s schedules for future seasons also saw some adjustments and additions Thursday in a series of coordinated moves between the schools and ESPN. The Bulls added a home-and-home series with UMass that will begin in Tampa on Oct. 14, 2017, with a return game in Massachusetts on Oct. 6, 2018. The match-up with UMass will be the first between the two programs. The 2017 UMass game replaces the return game of a home-and-home series with Wisconsin, originally scheduled for the 2017 season. The second game of that series has been moved back to Aug. 31, 2019 in Tampa. The Bulls fell 27-10 in Madison last year in the first game of that series. USF and Northern Illinois also agreed to move the second date of their two-game series forward two weeks with the teams now meeting on Sept. 9, 2017 in DeKalb, Illinois. The first game of that series remains on Sept. 10, 2016 in Tampa. USF will also move the first game of its two-game series with Illinois back one week to Sept. 16, 2017 in Tampa. The second game of the series remains on Sept. 15, 2018 in Champaign, Illinois. USF and Texas also agreed to move the start of their three-game series back one year, pending approval of the UT Board of Regents. The first game of that series will now be played on Sept. 5, 2020 in Austin, Texas. Texas returns to Tampa on Sept. 3, 2022 and the Bulls go back to Austin on Sept. 7, 2024. The Bulls remaining game in a two-game series with Nevada, which began with a 32-31 USF win at Nevada in 2012, also was adjusted with the remaining game moving back two weeks to Sept. 19, 2020 in Tampa. My Camera and I Survived Andrew W.K.